We can offer safe and secure storage facilities, pick & pack operations and a one-scan despatch operation that produces the correct transit documentation for your parcels with just one barcode scan. Orders can be received directly from online stores and marketplaces such as Amazon, eBay, Shopify, AliExpress, Magento and More using our direct system integrations meaning you can just sit back and relax while we handle all your orders. These integrations also allow us to tell your sales channel when an order has been despatched so the customer has up to date informaton. Our efficient operation and intelligent software allows for the quick entry of orders from any channel into our warehouse system, which means faster turnaround times for your orders and allows for same day despatch to you customers once received before our daily cut-off times. Our range of services can offer cost savings to our clients. All our fixed costs and overheads are spread over all of our clients, which means lower costs for you. Our high volume of daily shipments means we get exceptional rates for packaging, warehousing and shipping which we then pass on to our clients. All these saving means more margin for you and lower costs for your clients. 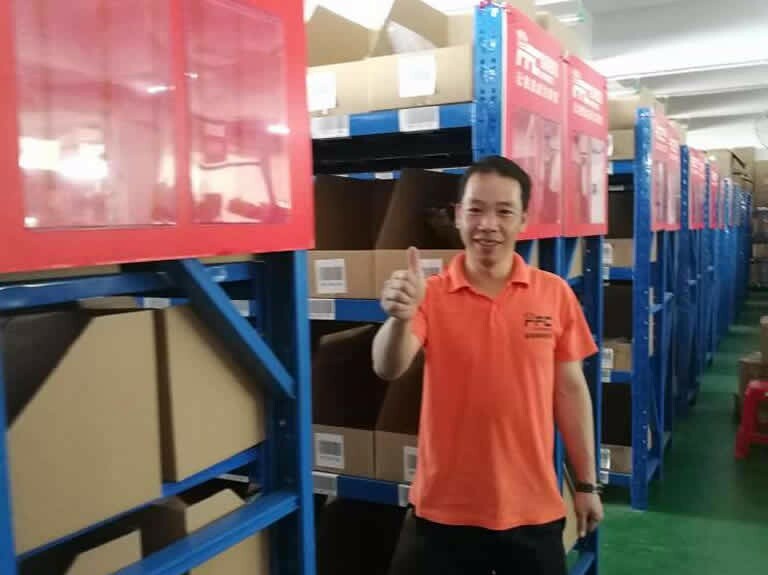 At China Fulfilment, every client has an Account Manager and 24/7 access to our software which shows live stock information, live order updates, live parcel tracking. Because this is the most important step in the order process, we have a system that provides quick, accurate order processing for your orders. As soon as your order is in our system, we are working on it immediately. Stock is allocated at the time the order is received into the system, so the item now belongs to that order. Each of your product in has a unique stock location in our fulfillment center, our warehouse system works out the optimum pick route for the picker to efficiently pick the items for your orders. Once picked, the items are placed into tote bins on the pickers trolley. When all items are picked the picker hands over to the packers. The packers then takes any item out of the tote and scans the barcode. This searches for a matching order for this product on the system and prints the despatch note and shipping label. For multiple item orders, all items must be scanned before the label and notes are printed. We have around 35,000 sq/m of storage space on our site, split between shelved picking areas and pallet storage. Every location in coded, so we know where your stock is at all times. Our storage areas are dry and monitored 24/7 by security cameras. We also have ambient temperature areas for required products and also extra secure areas if you stock is high value. Because of our large number of postage and logistics partners we can confidently claim that we ship to every corner of the world!!! 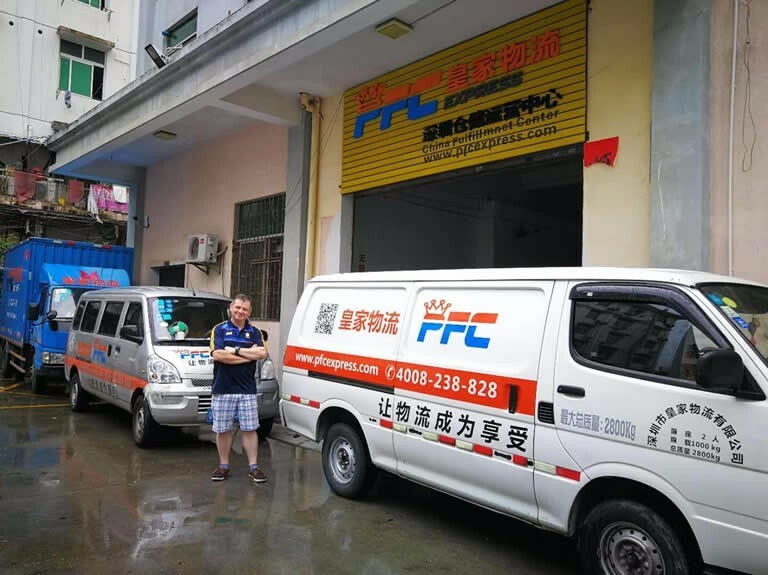 China Fulfilment can offer a huge range of delivery services so we can get your order to anywhere in the world, quickly and safely. We can offer postage, Worldwide Express, Air Freight and even Ocean Shipping options! We don't dictate which shipping option you should use because it is profitable or easy for us. We allow you to choose which of our shipping options is right for your business. Our shipping tool means that we make sure your orders get the correct shipping service assigned to them based on weight, size, delivery speed and destination. In eCommerce business, customer returns are inevitable. At China Fulfilment we have a simple and effective Returns Management system in place to make the process stress free for you and your customers! Managing returns can be a costly and time consuming exercise if not done efficiently. At China Fulfilment have a simple solution to this. When an order is first received into the China Fulfilment system from any of your sales channels, it is allocated a unique order number and barcode so every return can be quickly identified and matched to your specific client. 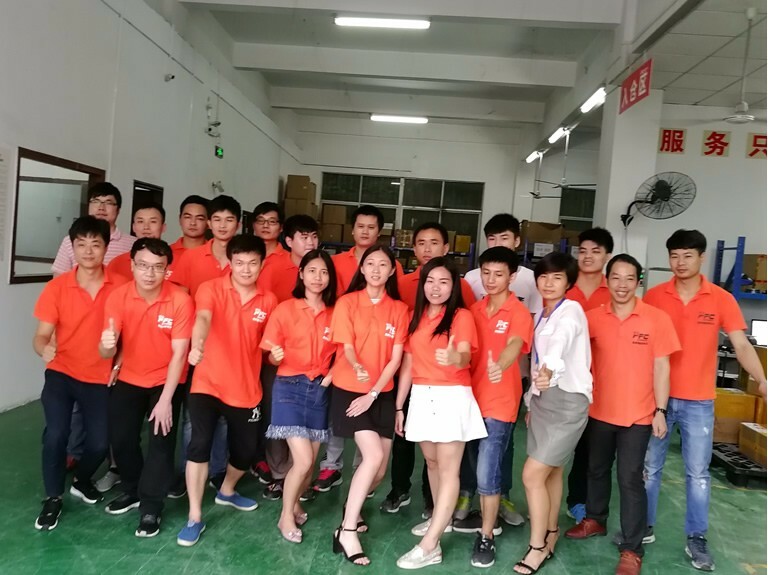 As a China Fulfillment customer can specify a customized returns process which can involve inspection of returns, re-stocking, detailed QC, sending images or forwarding to your offices. Once the return has arrived at China Fulfilment, we carry out your required procedure and make sure you are fully aware of the return status so you can quickly be in contact with you customer to resolve any issues with the return. Customers return orders for a wide variety of reasons, but any customer returning an order all have one thing in common. They expect the procedure to be simple and hassle free. China Fulfillment help you provide this simple returns process for your customers. We can offer PO BOX addresses to receive your return orders in a number of different countries. As your customers are our customers as well, we want all returns handle effectively and with ultimate customer satisfaction..